We handle all aspects of snow and ice management for your business. We strive to have our lots looking their best. You can rely on us to keep your roads and walkways safe for travel. 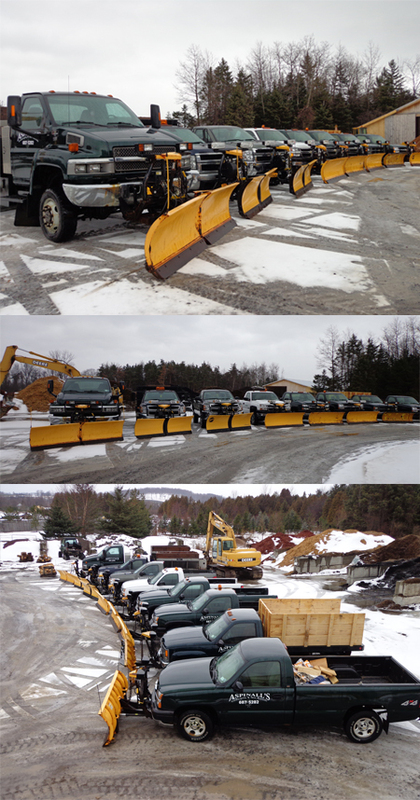 Our fleet is always ready for emergency snow service as well as pre-arranged contract work. Our goal is to be sure that your customers, shoppers, and employees can get to your facilities without delay. Our contracts will be written up according to the specific needs of the client. Plow stakes are installed at no charge. Snow plowing insurance available upon request. REMOVAL FOR THIS SEASON OR NEXT!